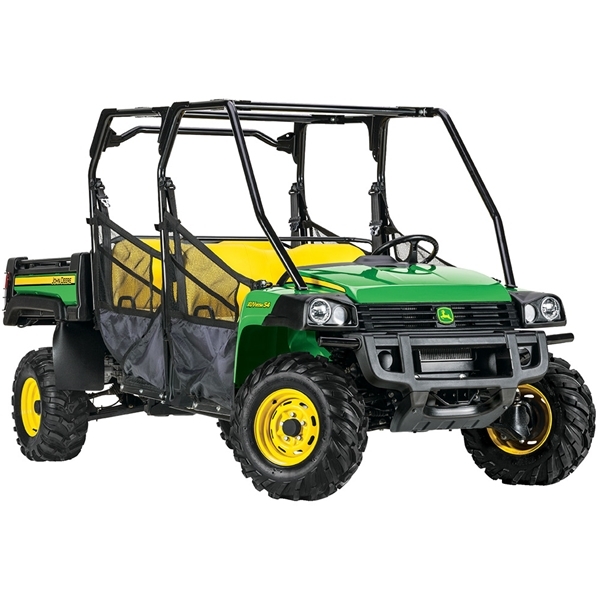 John Deere's heavy duty diesel cross over 855M S4 Gator Utility Vehicle features superior terrain capability, seating for four with under seat storage, a powerful diesel engine, and power steering. 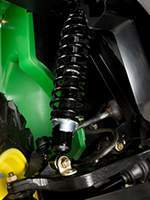 The front and rear suspension provides a smooth ride over challenging terrain and excellent hauling characteristics. The extra durable cargo box ensures hard-working performance and longevity. 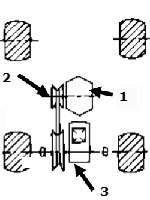 The diesel engine delivers superb starting, idling, and throttle response. While very similar to the XUV855E S4, the XUV855M S4 features power steering which creates excellent handling characteristics, as well as responsive steering and low steering effort. With the electric power-assist steering, the operator maintains a direct, mechanical linkage from the steering wheel to the front wheels. 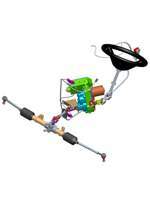 The power-steering system interfaces mechanically with the steering system by being inserted between the steering wheel and the rack-and-pinion assembly. 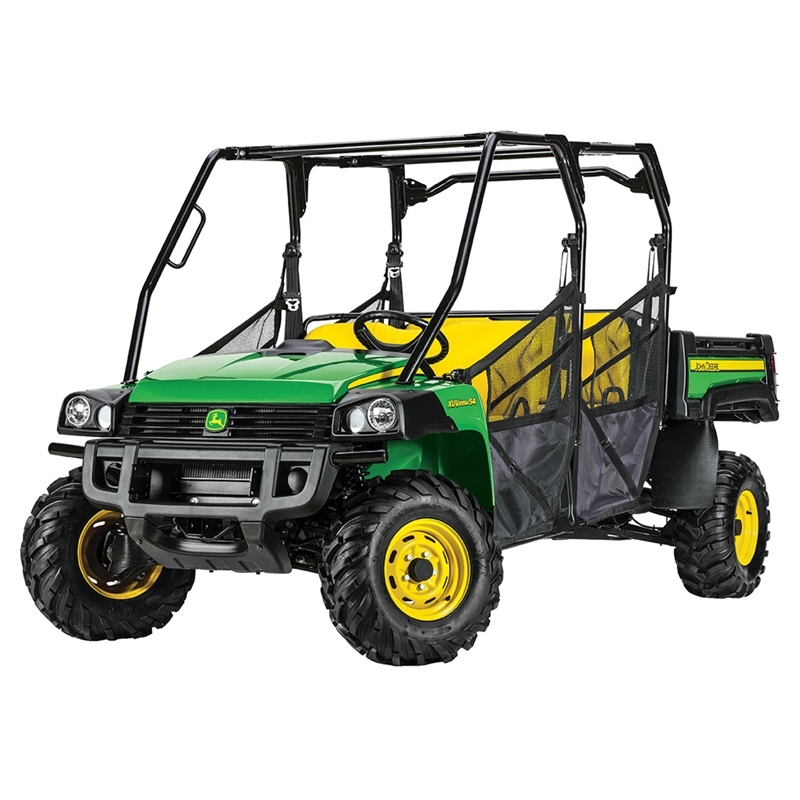 The John Deere XUV 855M S4 Gator Utility Vehicle comes with the deluxe cargo box which has a truck style tailgate and glass-filled polypropylene composite to reduce rusting over time. 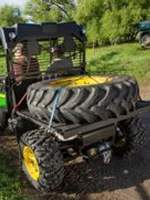 The deluxe cargo box also has removable sides to convert into a flat bed for hauling oversize loads. In addition, the independent 4 wheel suspension and true 4 wheel drive make the 855M the ultimate all terrain vehicle for towing heavy loads.